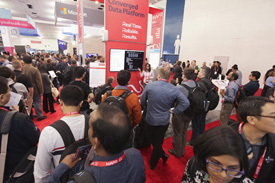 Strata + Hadoop World is the "must-attend" event for how big data, machine learning, pervasive computing, and analytics are changing not only business, but the way we live. It's where influential business decision makers, strategists, architects, developers, and analysts gather to tap into the opportunity that big data presents. From its inaugural event in San Francisco in 2011, Strata + Hadoop World has been selling out venues and expanding into big data epicenters around the world: New York, London, Singapore, and now Beijing. 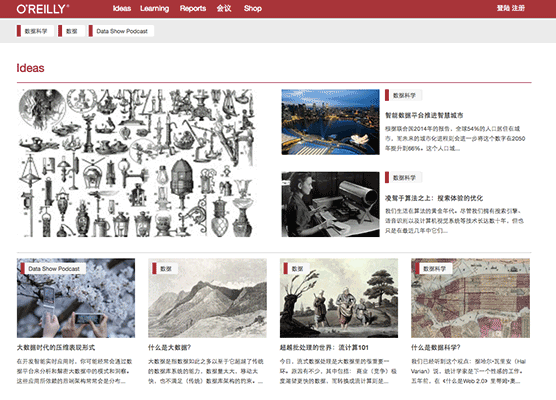 China, with its massive economic influence, huge Internet and mobile-using population, and explosive growth presents enormous data opportunities as well as some unique challenges. If you do business (or plan to) in this part of the world, you need to be a part of Strata + Hadoop World. 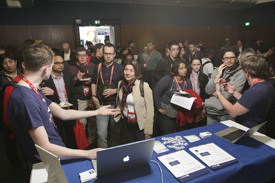 Strata + Hadoop World Beijing is presented by O'Reilly Media, Inc. and Cloudrea. O'Reilly Beijing is an international branch of O'Reilly Media, Inc.
“Strata + Hadoop World was one of the best technical conferences I have attended, and believe me, I go to all the major ones.”– Sam Palani, Director, Infrastructure & Cloud Solutions, CTR Inc.
Strata + Hadoop World in Beijing will pack four solid days with thought-provoking keynotes, in-depth training, targeted sessions, fast-paced demonstrations, and a sponsor pavilion featuring the latest tools and technologies. 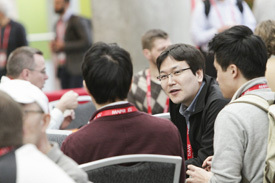 The vibrant "hallway track" provides unparalleled opportunities to connect informally with some of the best minds in data. 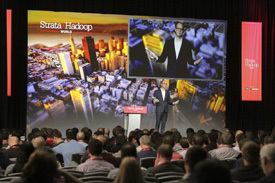 Immersed in deeply practical training and inspired by innovative ideas, Strata + Hadoop World attendees gain the knowledge and skills they need to make better business decisions in a data-driven world. 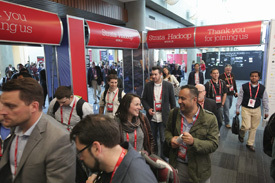 It’s a world-class networking event, and the breadth and depth of expertise at Strata + Hadoop World is unsurpassed: with over 80 presentations, attendees are sure to find solutions to their most pressing data issues. Tim's original business plan was "interesting work for interesting people," and that's worked out pretty well. He publishes books, runs conferences, invests in early-stage startups, urges companies to create more value than they capture, and tries to change the world by spreading and amplifying the knowledge of innovators. Tim is also a partner at O’Reilly AlphaTech Ventures, a founder and board member of Safari Books Online and Maker Media, and on the boards of Code for America and PeerJ. Ben has applied business intelligence, data mining, machine learning, and statistical analysis in a variety of settings including direct marketing, consumer and market research, targeted advertising, text mining, and financial engineering. His background includes stints with an investment management company, internet startups, and financial services. Jason is the chief architect of Big Data technologies at Intel. Prior to that, he was a principal architect at Microsoft, responsible for building a large-scale cloud and Big Data platform that powers some of the largest internet services in the company. Before joining Microsoft, he was an engineering director and principal engineer at Intel, responsible for advanced research and development of Big Data platforms, including a joint-development with UC Berkeley on the next generation of Big Data technologies (e.g., Apache Spark stack), and building next-gen Big Data platforms for some of the largest websites in the world. Jason is an internationally recognized expert on Big Data, cloud, parallel computing, and compiler technologies. Strata + Hadoop World delivers the nuts-and-bolts foundation for building a data-driven business—forward-looking insights, ahead-of-the-curve thinking, and the latest on the skills, tools, and technologies that make data work. 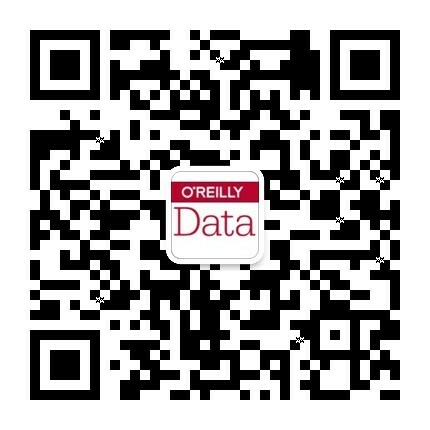 The future belongs to those who understand how to collect and use their data successfully. And that future happens at Strata + Hadoop World.